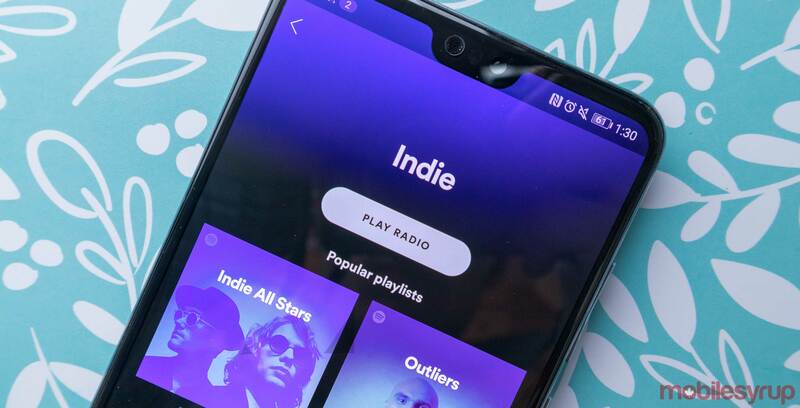 Spotify, the world’s most popular music streaming service, announced a new feature that will allow independent musicians to upload their tracks directly to the service. Currently, independent artists either need to sign with a major label or use a third-party aggregator site like Tunecore to upload their music on Spotify (and other streaming services). Artists that Spotify invites to the private beta will see a new direct upload option appear in the ‘Spotify for Artists’ platform. The platform is a website and mobile app hub for tracking song statistics and analytics. The new feature has some limitations — so it isn’t as lawless as SoundCloud. Spotify recommends artists upload a track at least five days before its public release date to ensure it posts on time. The delay is so the music streaming giant can look over the perspective tracks to make sure they don’t infringe on any copyrighted content. It also runs a quick check to make sure the song isn’t already on Spotify. When an artist goes to upload their content, they get to choose the release date, the album type and the cover art. Once the music is live artists can continue to tweak the metadata, giving them full control over the way their songs appear. The most significant impact this could have for artists is more money. The company is offering 50 percent of Spotify’s net revenue, and 100 percent of the song’s royalties, according to The Verge. MobileSyrup has reached out to Spotify to clarify the 50 percent net revenue payments structure. Royalty payments go directly to the artist’s bank account every month, and artists can view how much money they’ve made by using Spotify for Artists. This could still be more money than a smaller artist makes on a label. According to The New York Times, Spotify typically pays music labels around 52 percent of streaming revenue. A smaller portion, between 15 and 50 percent, trickles down to the artist. Spotify told The Verge that artist uploads are still in an early phase of testing and the feature doesn’t have a firm release date yet. When the feature does rollout, it could shake up the indie music space, moving artists from YouTube and SoundCloud into Spotify’s ecosystem. Tidal has tried to do this by posting mixtapes and non-traditional albums to help score credit with underground music fans. Apple Music launched with a feature to compete with SoundCloud called Connect, but it failed to take off. Spotify may be able to lure in more artists since it’s offering to pay them and the underground music integrates directly into Spotify’s library instead of a separate section like Apple Music Connect.